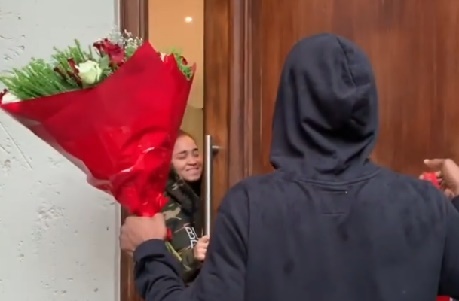 As lovers across the world are celebrating Valentine's Day today, the Koko Master is not left out, as he surprised his wife in a way she never expected. She even thought it was a delivery man. Watch the romantic video after the cut.